So, how did this adventure come about? Having listened to some friends talking about their ideas to buy a house in France (initially with not a little envy), being quite amazed to discover from RightMove quite how much value the French property market offered, we looked at each other with the same thought in mind, expressed out loud as “we could do that, shall we think about it?”. So we thought about it. We discussed every angle of two-centre living, whether it was feasible financially (just, if we were careful), how we could manage our work (the wondrous internet), our family, and all aspects of our lives. However hard we tried we couldn’t find any flaws in the idea. Our close family’s response was unanimous: “Go for it!”. Finally, we widened the discussion to our circle of trusted close friends, and again the only responses were wholly positive and affirming. So we went for it; given that I’d owned the family house for 39 years it was hardly a sudden move! We found our ideal UK base very quickly, had to go ahead in order not to lose it, and for the first five months of 2015 owned two UK houses. This was a real challenge financially, but it enabled us to completely update, refurbish, and redecorate our new Sussex home. We never doubted that we were doing the right thing, even though the process ended up taking longer than we might have expected and required more patience and trust than we knew we had. Driving back and forth between Surrey and Sussex, on an almost daily basis throughout the spring of 2015 as we supervised (and did many of) the improvements, was a surprisingly positive experience as we were able to watch and enjoy the hedgerows and wild flowers gradually opening and coming into flower. One flower I had never particularly noticed before was Cardamine Pratensis, commonly known as Lady’s Smock or Cuckoo Flower. We stopped the car several times to take a look and enjoy the delicacy of the colour and flower form. 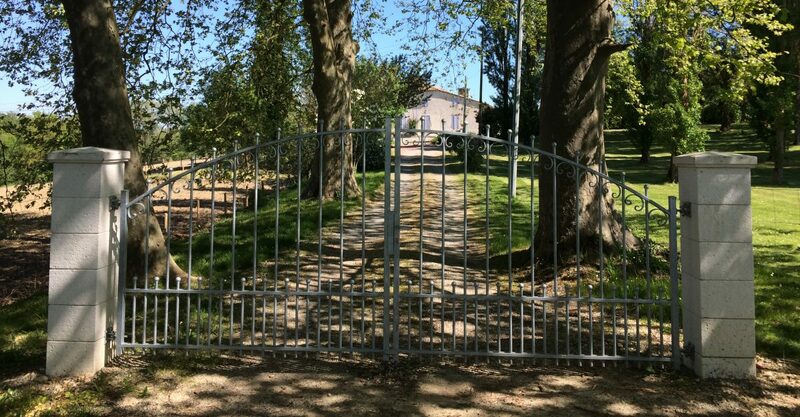 Time passed, the family house was sold, we found our perfect French home, the legal processes chugged through, and eventually it was ours at the end of November 2015. Imagine my surprise, as I have been watching for signs of spring in France in visits over the last few weeks, to see Cardamine Pratensis appearing all over one part of the garden. It is almost as though it is acting as a special link between the two homes, reinforcing the rightness of our decision.